It is now well established that the process of glycosylation is one of the most important causes of ageing, perhaps equally as important as the process of oxidation (free radical damage). During everyday metabolism, sugar molecules (such as glucose and fructose), and reactive aldehydes and/or ketones may attach to free amino groups on proteins, a process called non-enzymatic glycosylation (glycation). This reaction is also sometimes called the Maillard reaction. It results in a glycated protein, i.e. a protein carrying sugar (or similar) molecules on it. This glycated protein (also called an Amadori product) may then react with any other proteins resulting in irreversible bonding between the two. This bonding process is named 'cross-linking'. Affected molecules can be anything from collagen and elastin, to enzymes and immunoproteins. Facilitators during cross-linking are the carbonyl groups (+ C=O -) which act like glue, fixing the two proteins together. Carbonyls are chemical groups which are formed as a result of a sugar (or an aldehyde or a ketone or a free radical) reacting with aminoacids on a protein. In addition, carbonyls can be formed in other situations involving lipids or DNA so they are not necessarily restricted to proteins. So, carbonyls may cause not only protein-to-protein cross-linking, but also protein-to-DNA, or protein-to-lipid cross-linking, which is equally damaging to the organism. Recently, a condition called 'carbonyl stress' has been described. It involves increased levels of reactive carbonyl compounds which make cross-linking much more likely (1). Cross-linking results in formation of large insoluble aggregates of damaged proteins in the tissues. These aggregates have been named AGEs (Advanced Glycosylation End products) (or 'post-Amadori products', or 'glycotoxins') and may then go on to interact with free radicals and cause further tissue injury, through chronic oxidation. Although a steady rate of AGE formation happens as a result of normal ageing (starting after the age of 20), formation of AGEs is accelerated during hyperglycaemic states such as diabetes. Copper, iron and other metals may hasten AGE formation. Once formed, AGEs inhibit cellular transport processes, stimulate cells to produce more free radicals (such as superoxide and nitric oxide), and activate pro-inflammatory cytokines such as Tumour Necrosis Factor alpha (TNF-a) and interleukin 6. In addition, some AGEs are immunogenic (causing age-related auto-immunity) or mutagenic (increasing the risk of cancer), whereas others increase the activity of adhesion molecules, reduce protein degradation rate and reduce cell proliferation, all of which ensure that the risk of degenerative disease is increased. Also, AGEs stimulate apoptosis, resulting in excessive loss of cells and contributing further to the risk of degeneration. Some AGEs up-regulate genes which are involved in chronic inflammation reactions. At the clinical level, cross-linking contributes significantly to diabetic complications, lower immunity and increased risk of cancer, atherosclerosis and hypertension, Alzheimer's disease (through the formation of amyloid, which is a type of AGE), cataract, kidney damage, skin ageing, and other age-related diseases (2). The process of cross-linking through glycation was hitherto thought to be irreversible, and this was one typical example of the immutability of ageing. There are hundreds of compounds aimed at preventing cross-linking, but during the past few years, new products have also been developed directed specifically at breaking the abnormal bonds between already cross-linked proteins, practically reversing protein ageing (3). Both classes of drugs, the cross-link inhibitors and the cross-link breakers, have been found to offer remarkable benefits at the clinical level. There are several commercially available inhibitors of cross-linking. Examples of these include carnosine, aminoguanidine, metformin, acarbose, and pyridoxamine. Some of these (like acarbose and metformin) are already in use as anti-diabetic drugs but new research coming to light is now emphasizing their additional anti-cross-linking effects. Other not yet widely available inhibitors are Tenilsetam, OPB9195, phenazinediamine (2,3-diaminophenazone), and several hundred others still in development (4). The Alteon Corporation alone has identified over 850 separate cross-link inhibitors. Many cross-link inhibitors are nucleophilic traps, (scavengers) for reactive carbonyl intermediates. They are also copper chelators, and so they minimise the risk of both cross-linking and consequent AGE-related damage. In addition, they block soluble receptors (sRAGEs) or specific receptors (RAGEs) which recognize AGEs. Some soluble receptors circulate freely, whereas specific ones can be found on macrophages, fibroblasts and endothelial cells. When an AGE molecule interacts with a RAGE it forms an adduct which is then prone to create more damage through oxidation and increased metal toxicity. The dipeptide carnosine (beta alanyl- L-histidine) is a naturally-occurring agent found in muscle and nervous tissue (5) (see the Spring 2000 IAS Anti-Aging Bulletin). Carnosine has been hailed as one of the most promising cross-link inhibitors. It has multiple actions and as such it has been called a pluripotent agent. One way carnosine works is by scavenging for free carbonyl groups. Carnosine is one of the few cross-link inhibitors that is not only active against protein-to-protein cross-linking but also against protein-to-DNA cross-linking (6). Another important carnosine activity is 'carnosinylation', which is a process whereby carnosine attaches to the protein bearing a carbonyl group, thus blocking the carbonyl from attaching to another protein. It is just like placing a piece of paper (carnosine) between two proteins bearing glue (carbonyls). In other words, carnosine reacts with carbonylated proteins to form carnosine-carbonyl-protein adducts. These adducts are then removed by proteolysis and degradation. Conveniently, carnosine also stimulates and enhances the process of proteolysis (7). Carnosine has a direct antioxidant action, and it also has a sparing effect on other antioxidants such as glutathione. It is a strong chelator of copper thereby reducing the copper-mediated damage during AGE activity. Finally, it has a possible, yet unconfirmed, bond-breaking capability by dissolving certain bonds (S-S bonds) on cross-linked proteins. At the clinical level, carnosine reduced urinary products of free radical and glycosylation metabolism in humans (8). One of the most important developments regarding carnosine is its ability to prevent and cure age-related cataract, and possibly glaucoma and other age-related eye conditions (9). In this respect the form of carnosine used is N-acetyl-carnosine. This curative action of carnosine is perhaps related to its ability to stimulate proteolysis and thus dissolve protein aggregates in the lens. People taking 50 mg-100 mg of carnosine a day have not reported any side effects whereas those taking higher doses (1000 mg to 1500 mg a day) have reported occasional histamine-related allergic reactions. Metformin (brand names Glucophage ®, Metforal ®) is a standard anti-diabetic drug (dimethyl-biguanide) used worldwide both against insulin-dependent and against non-insulin-dependent diabetes. 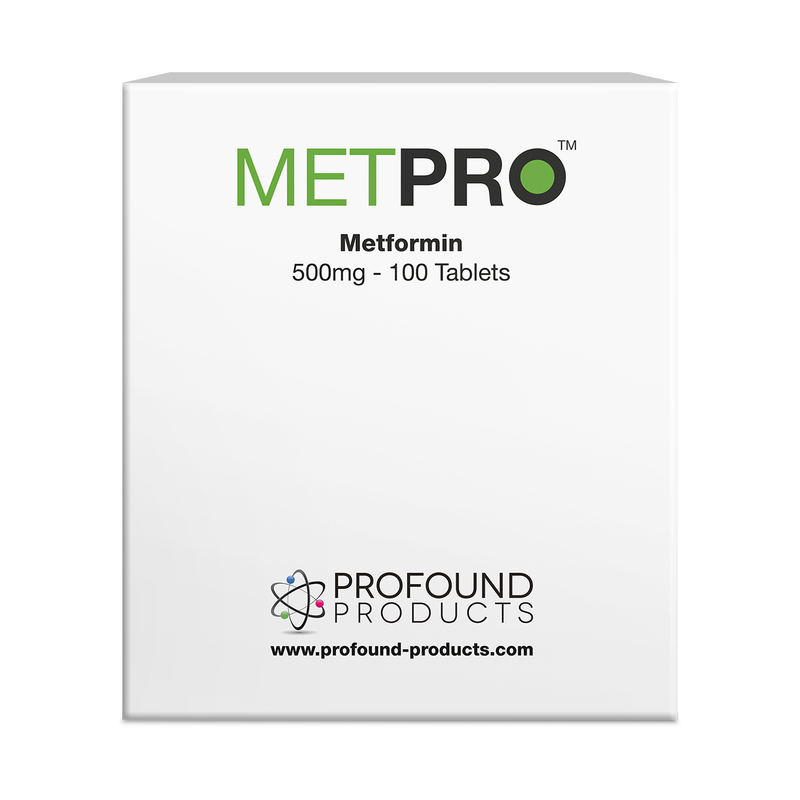 Although it is used primarily to increase peripheral sensitivity to insulin and lower blood glucose (for more details about this see Dr. Ward Dean's article in the January 2000 IAS Anti-Aging Bulletin), metformin has several other important actions which are not yet appreciated by many physicians. Metformin lowers cholesterol, reduces body fat, stimulates antioxidant defenses (10) and it is also an effective inhibitor of glycation. It reduces the formation of AGEs, particularly those affecting collagen. In that respect, it prevents diastolic stiffness in the myocardium of diabetic dogs (11). It has direct anti-glycation effects and improves cross-linking induced damage to nerves in diabetic rats. Its main mechanism of action is its carbonyl trapping ability, as will be explained below. In a clinical trial examining 57 people with type 2 diabetes, treatment with metformin was shown to reduce the concentration of methylglyoxal in a dose dependent manner (12). Methylglyoxal, and the related compound, glyoxal, are both reactive carbonyl agents (alpha-dicarbonyls) which are blocked by the quanidine molecule, (remember that metformin is a guanidine-containing drug). Specifically, the guanidine moiety of metformin combines with methylglyoxal dicarbonyls to form guanidine-dicarbonyl adducts which are then eliminated from the tissues (13). With reduced amounts of carbonyl groups in the tissues, the likelihood of cross-linking is reduced. This mechanism of action is similar to that of aminoguanidine (below), which, as the name suggests, it is also a guanidine-containing molecule. More recent experiments show metformin to have widespread activities as a cross-link inhibitor. It reduces cross-linking of fibrin proteins which take part in the clotting of blood. Exaggerated cross-linking of fibrin results in abnormal blood clotting and therefore an increased risk of thrombosis with consequent myocardial infarction or stroke. Metformin reduces fibrin cross-linking and therefore, ultimately, reduces the risk of thrombosis (14). In summary, with regards to glycation, metformin has a dual effect. It lowers blood glucose, (a well-known and established activity) plus, as new research is revealing, it is an effective inhibitor of cross-linking through carbonyl trapping. Metformin should be used under medical supervision with monitoring of the liver and kidney function. The dose is 500 mg twice to three times a day. Dr. Ward Dean recommends that everybody who is over the age of 40 should be taking metformin, and research into the anti-glycation benefits of metformin supports this recommendation, as a preventative anti-AGE drug. An agent structurally similar to metformin is aminoguanidine, (sometimes sold as Pimagidine) which has been studied relatively extensively and the reports have been encouraging (see the Fall 2001 issue of the Anti-Aging Bulletin). As with the case of metformin, aminoguanidine is also a guanidine-containing agent, and it therefore acts as a carbonyl trapping agent (15). Aminoguanidine too works by forming guanidine-dicarbonyl adducts, thereby reducing the numbers of free carbonyl groups. In particular, it is active against certain aldehydes which contribute to cross-linking, (e.g. alpha-oxoaldehyde, and malondialdehyde). Aminoguanidine is active mainly during the early stages of glycosylation. It is an effective inhibitor of cross-linking initiated by glucose molecules, but not as effective in situations involving ribose-related cross-linking. In any case, it prevents collagen cross-linking in tendons and skin (16) which shows its potential for prevention of muscle and joint age-related stiffness, and skin ageing (wrinkles). It limits the development of diabetic complications in animals and it has shown promising actions in improving diabetic nephropathy in double blind human trials (17). In addition, it is a weak copper chelator. Copper chelation is important in AGE induced damage, as high amounts of free copper are more likely to increase AGE-induced injury. Aminoguanidine prevents cardiac enlargement in animal studies by reducing the risk of glycation-induced damage to cardiac collagen. Also, it prevents cross-linking between lipoproteins, (proteins carrying fat molecules) and therefore reduces the risk of blockage of the arteries, particularly the small arteries that feed the nerves (18). It is such a strong carbonyl scavenger that it can sometimes result in excessive removal of carbonyl groups (which, in small quantities, are necessary for the normal functioning of the metabolism). This can, on rare occasions, give rise to toxicity particularly if aminoguanidine is used in excessive doses (over 600 mg daily without medical supervision). In theory, the concomitant use of pyridoxamine (see below) can reduce the likelihood of this potential problem. The dose is 150 mg once or twice a day, but diabetics may use double this dose. Side effects are rare and mild and include nausea or headache. There are two main varieties of aminoguanidine, the hydrochloride and the bicarbonate variety. Although the bicarbonate variety is more commonly available, the hydrochloride version is believed to be the most active (bioavailable) as it is more soluble. Aminoguanidine may be used together with carnosine which is active both in early and late stages of glycosylation, or together with metformin, particularly in diabetics. 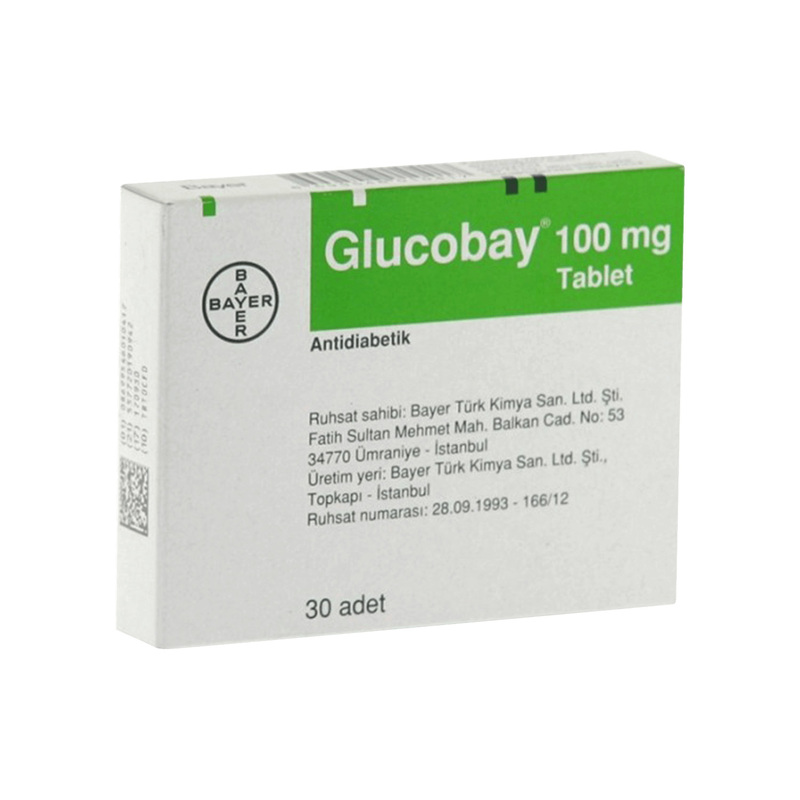 Another drug used in diabetes, Acarbose (Glucobay ®) is an alpha-glucosidase inhibitor (see the Fall 2000 IAS Anti-Aging Bulletin). Alpha-glocosidases are enzymes which facilitate the breakdown of complex carbohydrates, (such as starch) into smaller sugar molecules which are then absorbed through the intestinal wall. Acarbose blocks this, therefore inhibiting the absorption of certain sugar molecules such as maltose and sucrose, while allowing the absorption of glucose and lactose, which are needed for energy. In this way the overall absorption of carbohydrates is reduced and this lessens the risk of glycation-induced damage and AGE formation. Acarbose's main activities include a reduction of blood lipids (reduced uptake of triglycerides), an aid to weight loss, as well as being an important anti-glycation activity (19). As with the case of metformin, acarbosehas hitherto been used primarily to reduce blood glucose and therefore improve the symptoms of diabetes. However, new research is unraveling its anti-glycation properties which are in addition to its glucose-lowering actions. For this reason, acarboseis not only indicated for treatment of diabetes, but also for treatment of diabetic complications and other AGE-related damage. Several studies have shown that Acarbose reduces the formation of glycated proteins (including the glycated haemoglobin A1c which is a marker for diabetes). Animal models show an ability of acarboseto slow down the rate of protein glycation and delay renal, brain and eye complications of diabetes (20). Other studies confirm its effectiveness in protecting against nephropathy, neuropathy and retinopathy in diabetes, by its ability to lower AGE formation (21). With regard to the kidney-protecting effects of acarbose, it was shown that one possible mechanism could be its ability to protect the glomerular membranes, (where filtering of urine takes place in the kidney) against the effects of cross-linking (22). Acarbose is safe but it may have side effects such as abdominal pain and cramps, bloatedness and diarrhea. These are due to excessive amounts of unabsorbed carbohydrates in the bowel. The usual dose is 50 mg to 100 mg daily but the maximum should be kept to 300 mg a day to prevent these side effects. For greater benefits, it may be worth using acarbosetogether with other cross-link inhibitors such as carnosine. (Ed.- Acarbose is best taken by chewing the tablets, usually just before or during meals). This is manufactured by Cassella, a subsidiary of Aventis, and has traditionally been used as a brain stimulant (nootropic). New research has examined its anti-AGE actions and its significant glycosylation-inhibiting benefits. It works like most cross-link blockers, namely by carbonyl trapping. In addition, Tenilsetam has antioxidant activities and copper chelating properties (23). A double blind, placebo-controlled trial performed over a decade ago showed that Tenilsetam increases brain performance, (increased rate of information processing, improved cognition and memory) (24). Re-evaluation of these results shows that the effectiveness of Tenilsetam may be due to a reduction of AGEs in the brain. Particularly, it blocks the reactive sites on glycated proteins and does not allow these to be cross-linked. With a low rate of AGE formation in the brain, the damage caused by inflammation is reduced and brain activities improve (25). More recent experiments show that Tenilsetam reduces AGEs in diabetic rats, reduces amyloid aggregates (amyloid is the result of brain protein cross-linking), prevents oxidation injury to the brain and has an overall anti-dementia effect (26). Due to its brain protective effects it may be used by diabetics who are concerned about age-related dementia or those who want to improve brain function plus cover themselves against cross-linking. There are three different vitamers of Vitamin B6: pyridoxal, pyridoxine (the form traditionally used in supplementation) and pyridoxamine. All of these are naturally occurring. Pyridoxamine (brand name Pyridorin(, made by BioStratum) is found in animal sources, whereas pyridoxine is also found in plant sources. All three variants have a certain degree of anti-cross-linking actions, but pyridoxamine is the strongest and most significant. Trials are in progress to evaluate the product's safety and efficacy in preventing diabetic complications. Pyridoxamine prevents the formation of AGEs by 25-50% and ameliorates diabetes-related kidney dysfunction, (it improves albuminuria, plasma creatinine and hyperlipidemia). It works by trapping reactive carbonyl groups (27) and exhibits free radical scavenging properties (28). It is most effective in the later stages of glycosylation and therefore, for full protection, it may be used together with aminoguanidine which is active in the early stages of glycosylation. In fact, comparison studies with aminoguanidine suggest that, although both are effective against AGEs, pyridoxamine may be a more versatile agent to use against glycosylation, in order to avoid the low risk of potential toxicity problems with aminoguanidine mentioned above (29). Pyridoxamine does not affect the levels of blood glucose. It inhibits both methylglyoxal and glycoaldehydes which are most active following lipid peroxidation. It forms methylglyoxal-pyridoxamine dimers which are inactive and eliminated easily (30). There have been reports of neurotoxicity from using very high doses of pyridoxine, but the use of pyridoxamine is though to be free from these side effects. The reason is that pyridoxamine needs to be phosphorylated (i.e. it needs the addition of phosphate on the main molecule) before it can become active. A relatively new compound, first described in 1997, this carbonyl-trapping agent is a synthetic thiazolium derivative which inhibits cross-linking and improves kidney function. It is made by a Japanese company, Otsuka Pharmaceuticals Ltd. It works by blocking carbonyl groups, reducing the overall rate of AGE formation and, in addition, it reduces lipoxidation end-products such as malondialdehyde (MDA) (31). It was studied in relation to diabetic complications in rats. It reduced AGEs, restored nerve conduction velocity, limited free radical formation and reduced the rate of DNA damage (32). OPB-9195 modulates the production of toxic cytokines (TNF alpha and interleukin 6), and increases the rate of elimination of abnormal proteins (33). OPB-9195 protects against vascular tissue damage and prevents intimal (internal arterial) thickening (34). Other experiments showed it to be active in protecting against diabetic nephropathy in rats, through an AGE inhibiting action. It does not reduce blood glucose levels, and therefore it may need to be taken with metformin or acarbosewhen it becomes available. Pentoxifylline (brand name Trendal() which is normally used to improve circulation to the extremities (35). Pioglitazone (35). This is used in diabetes, to sensitise the cells to the actions of insulin, and it is best used together with Metformin. It has weak activity during early glycation but it becomes more active in the end stages. Kinetin (furfuriladenine) brand name Kinerase(. In a study, kinetin inhibited carbonyl activity and reduced AGEs by up to 68% (36). The most important cross-link breaker is the drug ALT-711, an orally active compound. This is a thiazolium product (dimethyl-3-phenacyl-thiazolium chloride) manufactured by the Alteon Corporation in the US. A related compound is PTB (dimethyl-Phenacyl-Thiazolium Bromide), which has actions similar to the chloride variety. ALT-711 is not an enzyme as such, but it has enzymatic properties. It has been shown to actually break the covalent bonds between cross-linked proteins and free the proteins which are then able to function again normally. Particularly, ALT-711 breaks the bonds between -O=C - C=O- , (the first -O=C group belonging to one protein and the second C=O- belonging to another). When the bond between C-C is broken, the first protein has a -COOH group and the second protein has a -CHO group. Although, in theory, the bonds may then re-form, (because the carbonyl group is still active on the freed protein), ALT-711 has benefits which persist after the drug is stopped (Alteon Corporation, personal communication). In other words, if the proteins are cross-linked again, ALT-711 will divide them once more, and if they are then rebound, it will keep on separating them. For this reason, it may be necessary to use a combination of the cross-link inhibitor carnosine together with ALT-711 for full protection against cross-linking. In that situation, when the C-C bond is broken, carnosine will immediately bind to the carbonyl group (i.e. it will 'carnosinylate' the protein) and therefore cross-linking of that particular protein will not take place for the second time. The ALT-711 molecule will then be free to seek out other cross-linked proteins to work on. ALT7-11 can reverse aortic stiffening in rodents, canines and primates. A 40% reduction on age-related left ventricular stiffness (in dogs) was reported after just one month of treatment (37). Other experiments support its effectiveness against hypertension, cardiovascular stiffness and heart failure (38). It has also been studied in a number of human clinical trials. It was found to be effective in reversing some of the complications of diabetes, improving myocardial and arterial stiffness, heart failure, and reducing blood pressure (39). In July 2001 Alteon has started the placebo-controlled SAPPHIRE (Systolic And Pulse Pressure Haemodynamic Improvement Restoring Elasticity) phase IIb clinical trial for systolic hypertension. It includes 450 patients aged over 50 years, and it involves 40 centres throughout the United States. The results are expected during 2003. A second, phase IIb SILVER (Systolic hypertension Interaction with Left Ventricular Remodelling) trial is a companion to the first and has enrolled 180 patients with left ventricular hypertrophy. Preliminary reports are optimistic, showing that ALT711 is effective at reducing clinical symptoms, (statistically significant reduction of blood pressure and an increase in large artery compliance, achieved after an eight week treatment period). The drug was well tolerated and few side effects were reported. Other trials are in progress aiming to study ALT711 in relation to diabetes and skin ageing. Far from being unique, ALT711 is in a group of 375 other cross-link breakers developed by Alteon. The best cross-link inhibitors currently available are carnosine, aminoguanidine, metformin and acarbose, whereas others are now becoming available. No cross-link breakers are commercially obtainable as yet, but these will be marketed within 2-3 years. Soon after, combinations of inhibitors and breakers are due to follow. Miyata T, Ishikawa S et al. OPB9195 treatment inhibits the development of intimal thickening after balloon injury to rat carotid artery FEBS Letters 1999, 445(1):202-206).